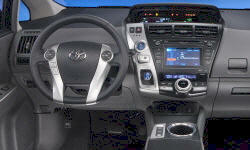 Toyota Prius v Pros and Cons | Page 1 of 1 | Why Not This Car? What drives people to buy (or not buy) a certain car? 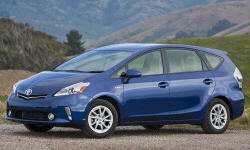 TrueDelta's members share Toyota Prius v pros and cons based on their real-world driving experiences. Well, high marks in that catagory, for sure. There isn't another car on the market like the Prius V: a cargo hauler with a lot of cu.ft., fold flat front seats and that gets relatively high miles-per-gallon. The average mileage  (using tank fill gallons and trip meter) is better than the EPA ratings for either city  or highway .